When charged with an offence, you want to ensure that your lawyer has the experience to effectively defend you in court. The firm of Cooper, Sandler, Shime & Bergman LLP was founded more than 60 years ago by the late Austin M. Cooper, Q.C, who was a Fellow of the American College of Trial Lawyers and a recipient of the Douglas K. Laidlaw Medal for Excellence in Advocacy (1992) and the G. Arthur Martin Criminal Justice Medal for outstanding contributions to criminal justice. The firm is now a dynamic, seven lawyer firm based in Toronto with experience in courthouses throughout Ontario. All of the lawyers at Cooper, Sandler, Shime & Bergman LLP have practiced with the firm for many years and do both trials and appeals. The firm has assisted clients before every level of court in Ontario, including the Supreme Court of Canada, the Ontario Court of Appeal and the Superior and Ontario Courts of Justice. To learn more about the firm, Click Here. When charged with an offence, you want your lawyer to have the expertise to properly assist you in court. The lawyers at Cooper, Sandler, Shime & Bergman LLP defend all criminal and quasi-criminal charges, including allegations of white-collar crime, fraud, homicide, domestic assault, sexual assault and driving related offences, including impaired driving (DUI) and over 80. 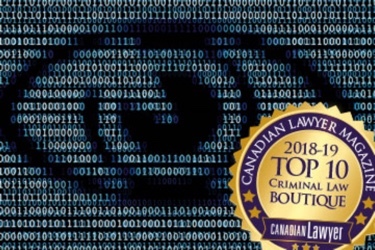 The lawyers at the firm are recognized as among the most effective and successful criminal lawyers in Ontario. Mark J. Sandler, the senior partner of the firm, has practiced with the firm since 1977. He is also a Fellow of the American College of Trial Lawyers and a recipient of the G. Arthur Martin award. 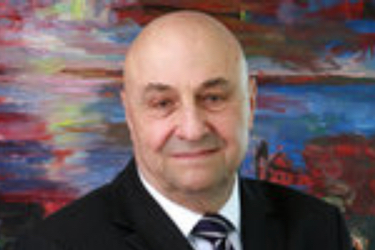 He is a certified specialist in criminal law and was a long-term Bencher of the Law Society of Ontario. To learn more about our lawyers, Click Here. FOUNDER OF THE FIRM, AUSTIN COOPER, Q.C.